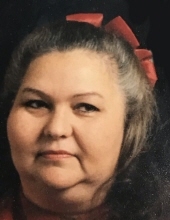 Lisa Jo Beckwith, age 65, passed away November 24, 2018. Lisa is preceded in death by husband, Nyls "Nick" Beckwith; and adoptive father, William Wilson. Survivors include children, Amy Hernandez, Rebeka Cantu-Sosa, Jacob Montgomery and Mariah Beckwith; 9 grandchildren; many other loving family members and friends. Lisa will be cremated following the visitation. To send flowers or a remembrance gift to the family of Lisa Jo Beckwith, please visit our Tribute Store. "Email Address" would like to share the life celebration of Lisa Jo Beckwith. Click on the "link" to go to share a favorite memory or leave a condolence message for the family.